In many ways, you really are what we eat. The dietary choices you make and the nutrients you get from the foods you consume determine the effectiveness of many of your bodily functions. Now, most diets are geared towards weight loss or general health, right? However, some have more specific focuses, like the low FODMAP diet. Ever heard of it? Well, the low FODMAP diet was originally designed to help people with digestive issues. In particular, this diet was built to help folks suffering from irritable bowel syndrome.1 But is it really as effective as advertised? Let’s discuss it. Researchers at an Australian university in 2005 decided to help people by developing a list of FODMAP foods. The idea is that there are certain foods that don’t play well with every digestive system and people with digestive food issues would do best to avoid them. So, what’s on the FODMAP List? 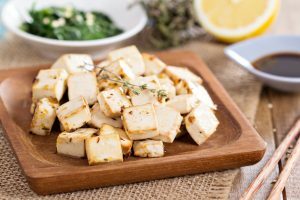 Chances are that even vegans have FODMAP foods in their diet. 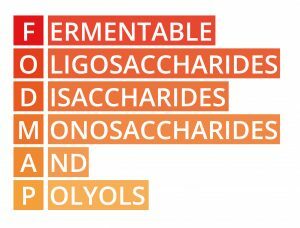 Now, if you don’t eat dairy, you might not have to worry about disaccharides, as they’re mainly found in dairy. 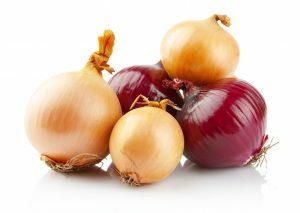 But onions, garlic, and legumes are major sources of oligosaccharides. In addition fruits like figs, mangoes, and blueberries also fall on the list of FODMAP foods. But What’s So Bad About FODMAP Foods? Well, ask the small intestine. For some people, the small intestine has trouble absorbing FODMAPs from various foods. This leads to more fluid in the bowel — diarrhea, and gas. And of course, these issues can lead to a great deal of pain. If you’ve lowered your alcohol and caffeine intakes and you limit spicy foods and you’re still experiencing IBS symptoms — low FODMAP could be for you. The good news about the low FODMAP diet is that for those who fall into this narrow group, science is on your side. How Do You Put a Low FODMAP Diet into Practice? The answer is elimination, followed by reintroduction. Then, you can start to look for replacement foods — especially if you don’t eat meat. Because one of the most versatile protein and fiber sources out there — legumes — is a biggie on the FODMAP list. There are alternatives out there to help you get the nutrients you need, though. A final thought on starting the low FODMAP diet — be patient with yourself. You likely won’t see positive results day one. Like anything new, your body will need to adjust and this could be somewhat uncomfortable. However, if you’re methodical in your approach, you’re likely to cause positive, prolonged change. At the moment, the evidence behind the low FODMAP diet shows it’s specialized but effective. In essence, those with IBS can practice eliminating FODMAP foods and find their way to feeling better. If you do have irritable bowel syndrome, a low FODMAP diet can tip the scales in your favor. But you should definitely consult with your healthcare professional when exploring any change in diet. In addition, like with any new diet, ease in and temper your expectations.